In B2B markets, personal relationships are critical. Companies invest significant time and resources into their sales teams which should use that effort to turn daily users into loyal advocates. After all, sales teams are a driving force when it comes to company growth, retention, and most importantly, keeping clients happy. Yet even the most powerful IT sales functions are often blindsided when a client decides to move on. The question is, why? After years of research, we’ve found enlightening disconnects between clients and sales teams that have prompted the need for ongoing analysis of why clients defect. The reasons are varied — it can be a financial decision, a personal decision, or simply a logistical one — but here are four overriding reasons we’ve discovered for why IT sales teams are losing customers. “Fine” is the “f-word” in business and much more dangerous in sales relationships than meets the eye. “Fine” could just as well be “we’re evaluating other options,” implying that your customers are sticking with you for convenience, familiarity, or lack of other options — and there’s nothing stopping them from exploring the next company that comes along. Turns out, “fine” and “satisfied” are one in the same. According to Harvard Business Review, 20 percent of “satisfied” clients reported having the intent to leave an organization. Simply stated, it is not enough to satisfy clients — you must make them loyal. Loyal clients are likely to say much more than the relationship is simply “fine.” They seek your advice, give you benefit of the doubt, put you in touch with colleagues, and share information to help you. Sales account managers tend to overestimate the quality of poor client relationships and underestimate the good ones. This “trust your gut” mentality has a high failure rate and ripples throughout all levels of an organization. According to Bain & Company, 80 percent of CEOs, including IT leaders, thought their organization offered an awesome customer experience, but only 8 percent of their customers agreed with them. Rather than trusting a “gut feeling,” IT sales teams should ask how clients feel about them. One tool for measuring client satisfaction is the Net Promoter Score (NPS). NPS asks one simple question: “How likely is it that you would recommend [brand] to a friend or colleague?” and delivers a single score, making it easy to measure, report, and target. While NPS can offer companies a quick and easy way to get a temperature check on an individual customer’s loyalty, NPS and related metrics don’t paint the full picture. It is imperative to utilize metrics that delve deeper into customer feedback to improve business relationships and increase client retention — a sort of “NPS+” if you will. There are only three ways to get money: acquire, cross-sell, and retain. In our research, we’ve found most sales teams execute in that order (AXR) — and they’ve got it backwards. For 99 percent of companies in the developed world, the market has migrated from a land grab into a period of intense competition, where acquiring new clients is difficult and expensive. Sales leaders disproportionally incent their teams to acquire new clients rather than cross-sell or retain existing ones. As a result, existing clients leave, and sales teams are filling the bathtub with the drain open. IT sales teams need to reverse their thinking to focus first on retention, then cross-selling, and lastly acquisition (RXA). With clients already in their CRM/Rolodex, incumbent status and familiarity with clients’ businesses, sales teams can drive profitable growth at a lower cost. Seventy percent of sales teams have lackluster closing skills, according to the Sales & Marketing Business Brief. This is a frightening statistic, and often a lack of proper sales training is to blame. Sales training is the lynchpin of client relationship building, helping sales teams turn rejection into success. IT sales leaders need not only invest money in sales training, but time as well as managers, mentors, and motivators. Get Creative: This article from Criteria For Success has some really awesome ideas to switch things up in your next training session. A lot of these tactics give your sales team to show off their skills while also teaching them to adapt to a new situation. Train Effectively: Andrew Fayad, CEO or ELearning Mind, presents five suggestions of how to effectively train your sales team. These tips help engage and motivate your employees. Become A Closing Expert: Entrepreneur guru, Barb Hauge, has some useful tips to practice your closing strategies. She has some really fun and useful ideas on how you can be in the 30 percent who close effectively. Train For the Future: Integrity solutions produced a really interesting article about what you can incorporate in your sales training to be prepared for how sales is changing. This will help your sales be ahead of the game and ready for what’s next. As the industry embarks on a new quarter with quotas to fill, numbers to hit and clients to satisfy, sales managers should ensure their teams are well-equipped to build and manage better client relationships that generate more sales revenue, and most importantly, happy customers. Business needs to get more personal. Have another tip for improving sales team performance? Share with us @salesEQUITY. 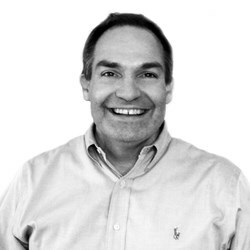 Tom Cates is founder, CEO and Chief Storyteller of salesEQUITY, the first B2B platform that uses a proven quantitative methodology to measure and assess client relationships. Tom has over 15 years of experience leading consulting engagements focused on the customer-facing elements of sales, marketing and customer service functions in a wide variety of industries. Follow him @salesEQUITY.